Citizens in the Bradyville area of Gilley Hill Road believe road conditions there are threat to motorists and children traveling on school buses. Anna Pittman, who heads up Neighborhood Watch in the area, addressed the Cannon County Commissioners regarding shoddy roads in the Bradyville area during their regular monthly meeting at the Cannon County Courthouse Saturday (April 19). Seven of the 10 commissioners were present with Clint Higgins, Chuck Holt and Todd Hollandsworth absent. Mark Barker, Jim Bush, Kevin George, Jim Jones, Jimmy Mingle, Tony Neal and Russell Reed were present. Pittman presented a petition signed by more than 180 residents in the Bradyville area concerned with road deterioration and the current 55 mile-per-hour speed limit. Commissioners voted to lower the speed limit from 55 to 45 from Bradyville Church of Christ to Gilley Hill. Jim Jones made the motion, which was seconded by Russell Reed. It passed unanimously. Pittman also addressed the need to have the road repaired. Pittman presented photos of the roads and said they are passed due for improvement. George pointed out that the county has nothing to do with improving state roads. Pittman said she has had meetings with the highway department, road commissioners, cou-nty commissioners and state representatives during recent years. Barker pointed out some counties set aside money for county roads, but not Cannon County. Pittman told commissioners the road from the church to Gilley Hill is a danger to those who travel it, including school buses with children that travel the road four times daily. Mingle discussed county roads. He suggested there are roads designated as county roads that lead to barns or nothing. Mingle said there are several roads on the county inventory list that could be taken off. “Right now we are not spending money on them but if someone were to build a house back there we would lose money,” Mingle said. County Executive Mike Gannon also pointed out that a person from Cookeville 911 had previously inspected area roads and took some off. George said another evaluation is in order because times have changed. Mingle made a motion to have the planning commission look at the roads and question and make a determination. Reed seconded the motion. Cannon County High School math teacher Lisa Choate briefed commis-sioners on Common Core to not only educate them on the most recent standards for student preparedness, but also to dispel myths. 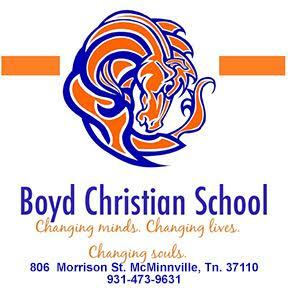 Choate was selected as one of 700 Common Core coaches in Tennessee. Choate said more than 1,700 persons applied statewide. Those coaches spent last summer training more than 30,000 teachers.